Whack-A-Roo is a simulation game designed to help inform public opionion about the proposed Kangaroo culls for the ACT. This is a controversial issue a the moment with a great deal of opposition. The supporters of the plan say that Kangaroo overpopulation can lead to overgrazing and reduction of other protected species. Opposers say that there isn't the scientific data available to make those claims and that we don't have sufficient modelling in place to predict what the effect of a cull would be. 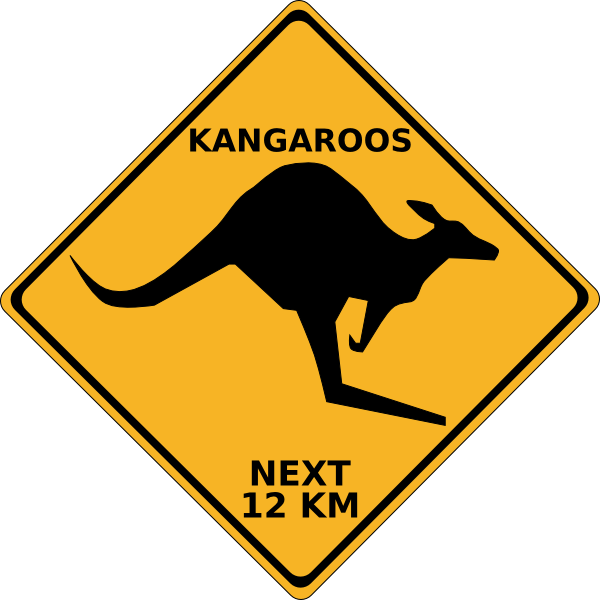 Currently the method of populaiton control is culling Kangaroos. It is the cheapest option we have available. The other options are to relocate the Kangaroos or to inject them with sterilisation drugs. These options are significantly more expensive. Both options have other pros and cons. Whack-A-Roo is designed to help the public understand some of the complexities around these issues and how the public can get involved to improve the scientific data we have available. In the game, players have to 'survive' for 5 minutes (correlating to years/months simulation time) with all indicators at a healthy level; public opionion should be high, costs should be low and Kangaroo populations should be in an acceptable range. If cost and population are acceptable then opionion increases, if not then it decreases; rapidly if both measures are out. The hardest part of this project was getting the kangaroo population growth model accurate. To do this we used eastern grey kangaroo sightings from the Atlas Of Living Australia. From this we extracted the location and date information and graphed the result to ascertain growth rates based on sightings. We then correlated this with other government data found on the tams website http://www.tams.act.gov.au/parks-recreation/plants_and_animals/urban_wil.... This was a valuable source of information listing some of the costs associated with culling, known growth rates of kangaroos and some of the issues such as reduction of grassland leading to loss of protected animals eg the Grassland Earless Dragon. Further refinement of population growth model eg migration, climate, gestation period, over feeding, etc. Make the game much more interactive, eg create regions in the map to introduce migration and allow players to choose areas. ​Using gamification and public accessible simulations to help inform and gain knowledge of public opinion is a new way in which government can work. ​This simulation can be used to measure the effectiveness of the proposed culls. Once new is pushed into the data set it can be loaded into the simulation to see if the policy on Kangaroo culling actually made the difference that was expected. If this turns out to not be the case then we can use this data to update the underlying model and then use our updated model to better inform the new policy.